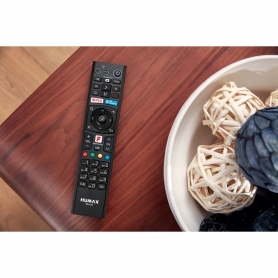 Available in a sleek black finish, this Humax HD Recorder offers on-demand viewing, a wide variety of channels and a world of content to enjoy. The FVP5000T500GBBL lets you pause, record and rewind live TV, so you don’t have to miss a thing. Looking for a similar model with more memory? 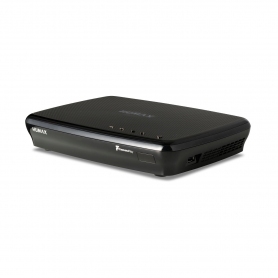 This model is also available with a 1 TB memory - FVP5000T1TBBL. 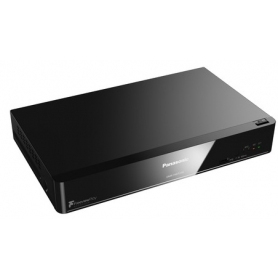 This Humax Freeview HD Recorder also gives you access to YouTube, helping you keep up to date with the latest great content and viral videos. Those with Netflix subscriptions can even access their account on the FVP5000T500GBBL, providing a greater variety of films and TV series. You’ll find a range of user-friendly features on this device, for an even better viewing experience. 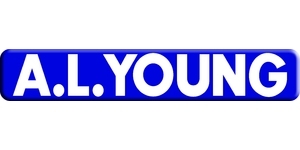 Use the TV guide to scroll back through the week’s programmes and watch anything you’ve missed. You can even search for your favourite shows to see when they’re on, and set a whole series to record. No need to worry when two shows clash – with the FVP5000T500GBBL you can record up to four programmes at once, and even watch a fifth. This model also features a hefty 500 GB memory, giving you plenty of storage space for your recordings. If you’re at a loss for something to watch, Humax are here to help. Check out their ‘Top Picks’ to see quality, curated content from today’s most popular shows. 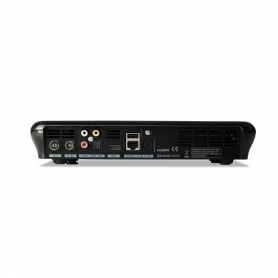 Play your own media back on this device via USB, or with smart Network Share features. By enabling your computer’s media sharing feature, you can stream photos, audio files and videos to enjoy them on your TV. 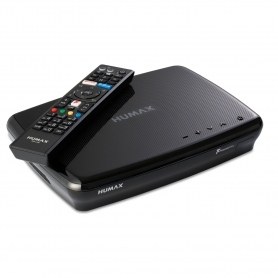 You can even stream live TV and recorded content from the FVP5000T500GBBL to a compatible smartphone with the Humax Live TV app. 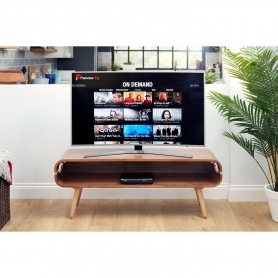 Access a huge range of content with Freeview Play and built-in Wi-Fi on the FVP5000T500GBBL. Order yours today.